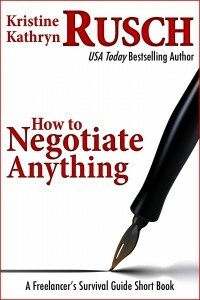 •How To Negotiate Anything: Freelancers must negotiate everything from the rent they pay to the contracts they sign. Here’s how to negotiate on your own—and when to hire someone to negotiate for you. 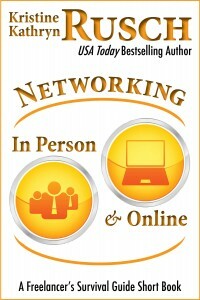 •Online Networking: In addition to tricks and strategies for online networking from Rusch herself, this Guide also includes advice from such online networking experts as Neil Gaiman, Michael A. Stackpole, and Mitch Wagner. 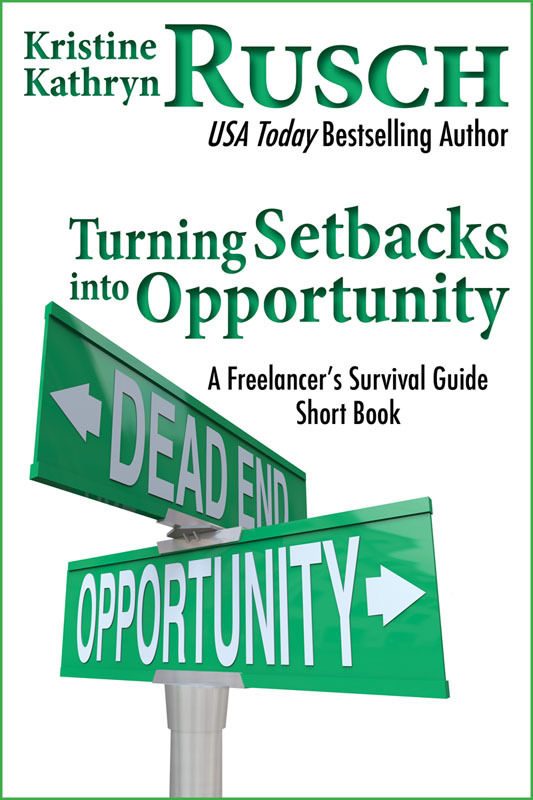 •How To Survive Failure—and Success: Success, more than failure, derails many freelancers. Rusch explains how to turn your failures into successes—and how to optimize the success when it finally happens. Available from Audible or in electronic form for $9.99. The Freelancer Short Books are excerpted, in part, from Kristine Kathryn Rusch’s longer work, The Freelancer’s Survival Guide. If you need advice on a particular subject, and don’t feel the need for the full-length guide, then these short books are for you. The biggest dream all freelancers have is to work for themselves. They want to ditch the day job. 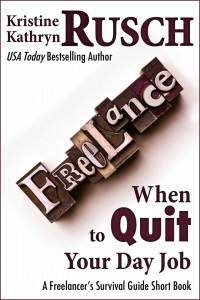 Many freelancers quit their day job too early. Some wait too long. Some never do quit. And some should return to a day job for a few years while they fine-tune their business. 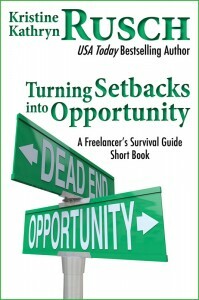 A step-by-step survival guide to the decisions you need to make to become and stay a freelancer in any business. Available from Audible or in electronic form for $4.99. Everyone says they want to be their own boss, but very few people know how. 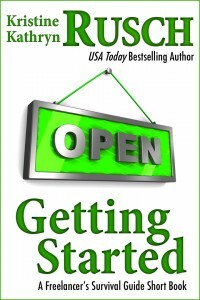 This book will help you learn how to think properly about owning a business. It gives you guidelines in setting up your office (in or out of the house), setting your schedule, and establishing your priorities. 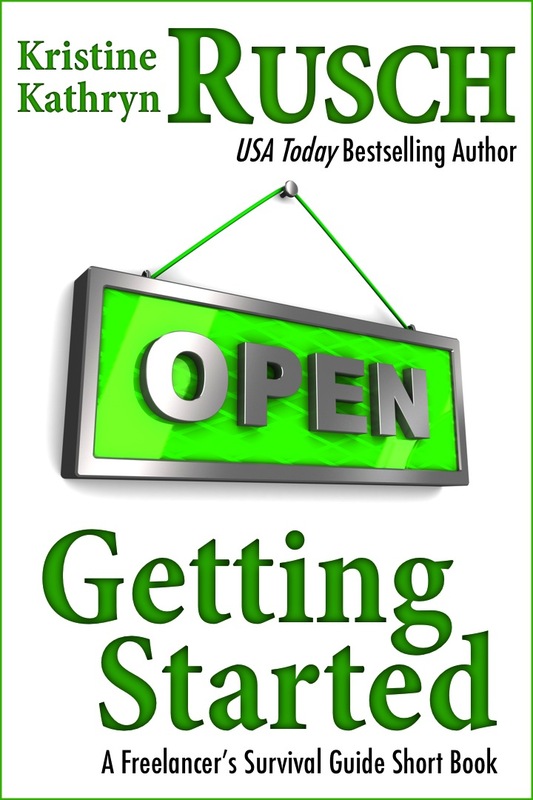 Getting started properly will put your business on the road to success. Setbacks happen to everyone. Surviving them is hard. Surviving failure is even harder. But every successful person has had at least three failures before finding that success. So how do you turn failure to success? 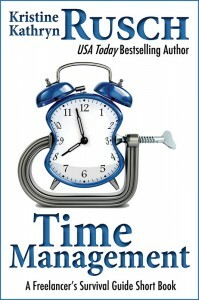 The answers lie in this short book by international bestselling writer, Kristine Kathryn Rusch. Everyone has dreams, but most people don’t know how to achieve them. 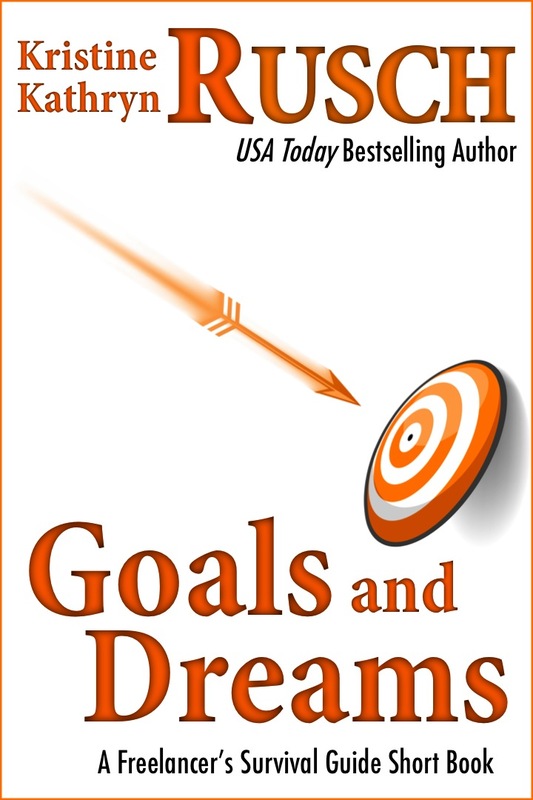 Goals help people achieve their dreams, but how do you know if you’ve set the right goals? 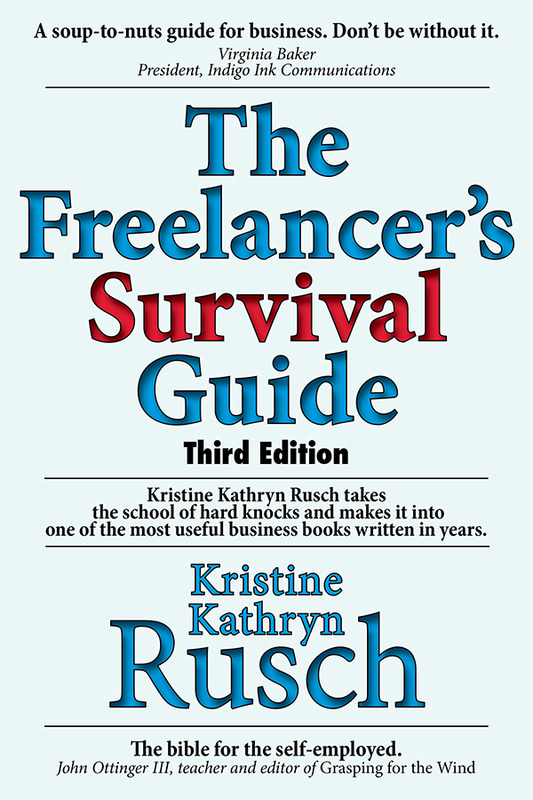 In this book-length excerpt from the massive Freelancer’s Survival Guide, international bestselling author Kristine Kathryn Rusch will help you set the right goals to achieve your dreams. She also has tips for staying positive and remaining patient while you’re on the road to success. Most people hate negotiating. Instead of learning it themselves, they hire someone—an agent, a lawyer, a manager—to negotiate for them. But negotiators often do not have their clients’ best interests at heart. 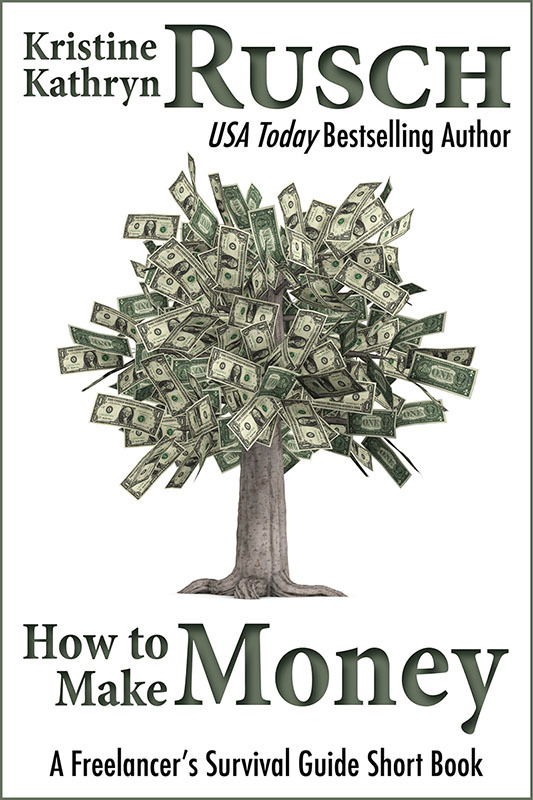 In this short book, international bestselling writer Kristine Kathryn Rusch shows you how to negotiate anything from buying a car to buying a house, from handling a book contract to handling a negotiator. 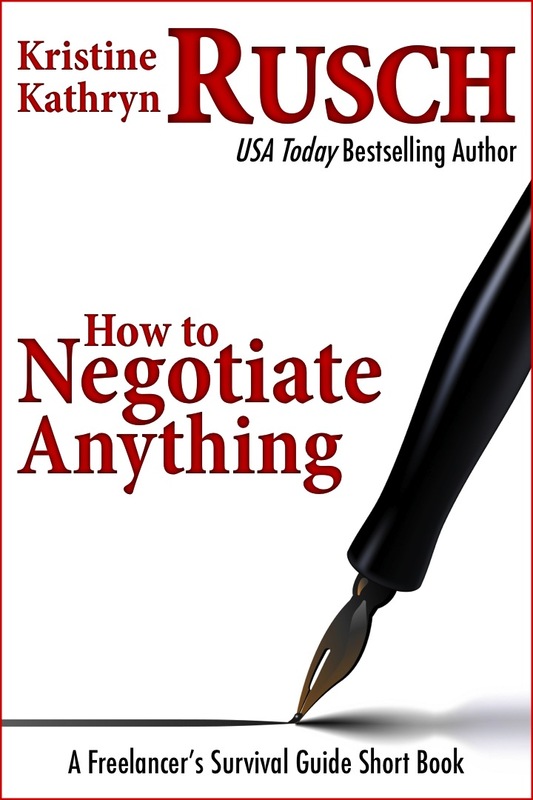 If you have ever negotiated anything—and who hasn’t?—then this book is for you. Once you’ve become successful, you never have to work again—or so many people believe. But becoming a success is just the start. Staying a success is the hard part. 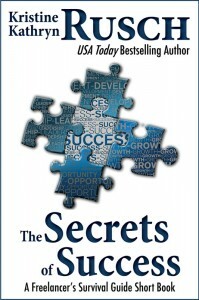 This short book will help you both become a success and remain one. 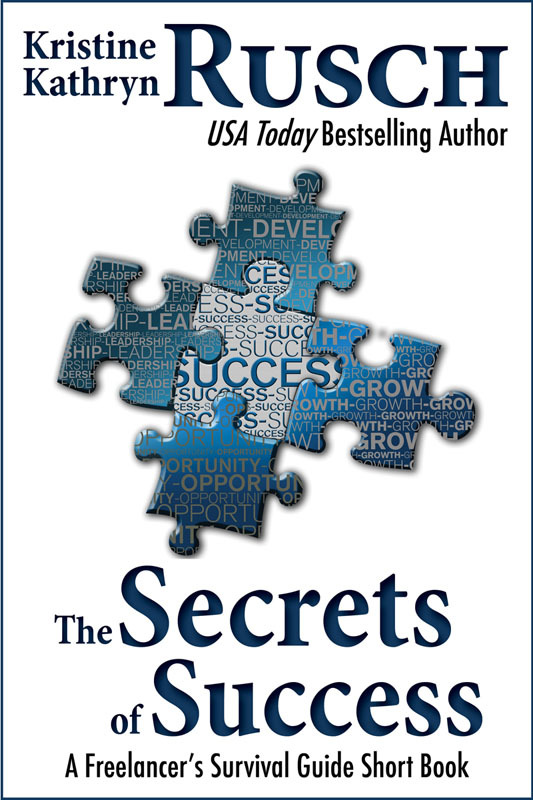 International bestselling author Kristine Kathryn Rusch will show you the secrets to success that will change your life. 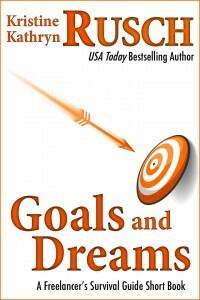 Audiobook available from Audible and iTunes. Available in electronic form for $4.99. Celebrities like Elvis Presley and Michael Jackson prove that you can always spend more money than you earn. Want to know how to make money while self employed? 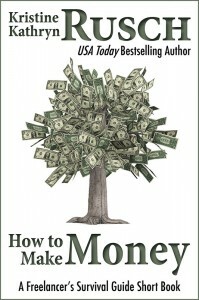 Learn how to manage the money you do earn. 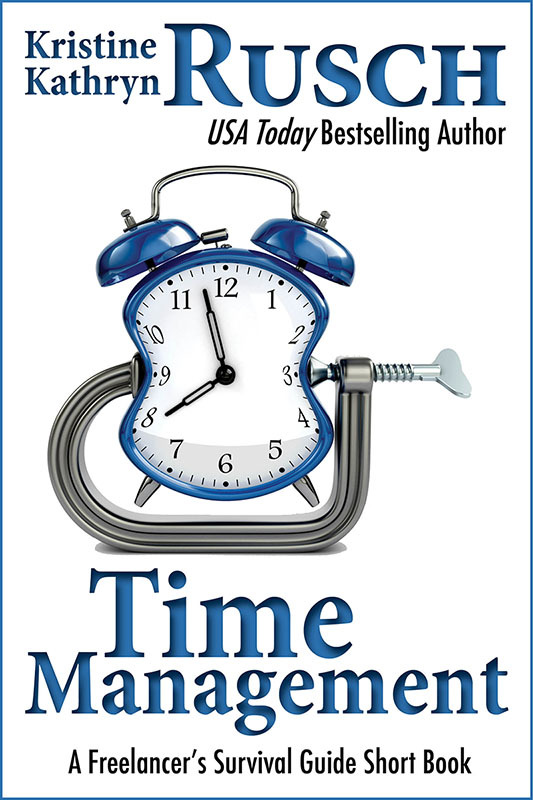 In this short book, international bestselling writer, Kristine Kathryn Rusch, shows you how. Available from Audible, in print or electronic form from $4.99. Networking sounds hard—and it is, if you’re trying to do it “right.” Instead, do it your way. 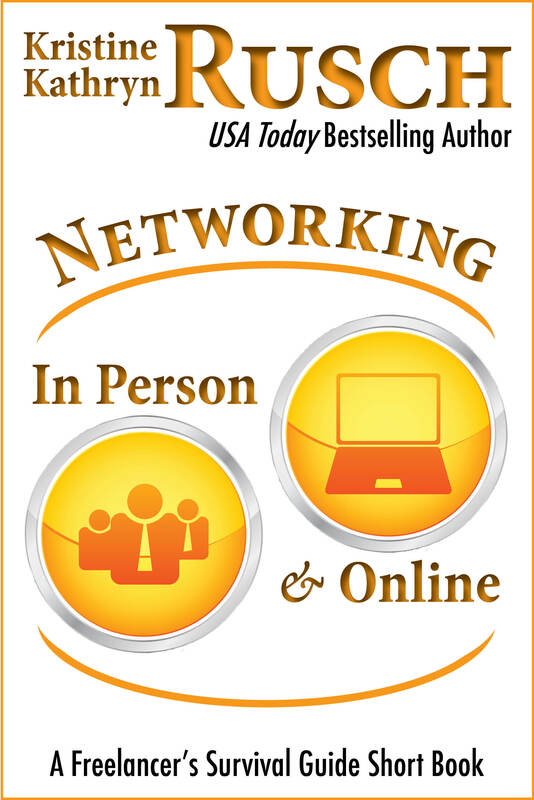 International bestseller Kristine Kathryn Rusch offers her tips on networking in person. She solicited the help of great online networkers like bestsellers Neil Gaiman and Michael A. Stackpole to give online networking tips. This short book teaches you everything you need to know about networking—and more! Being your own boss means setting your own schedule. Sounds easy, right? Instead, it’s one of the toughest parts of freelancing. 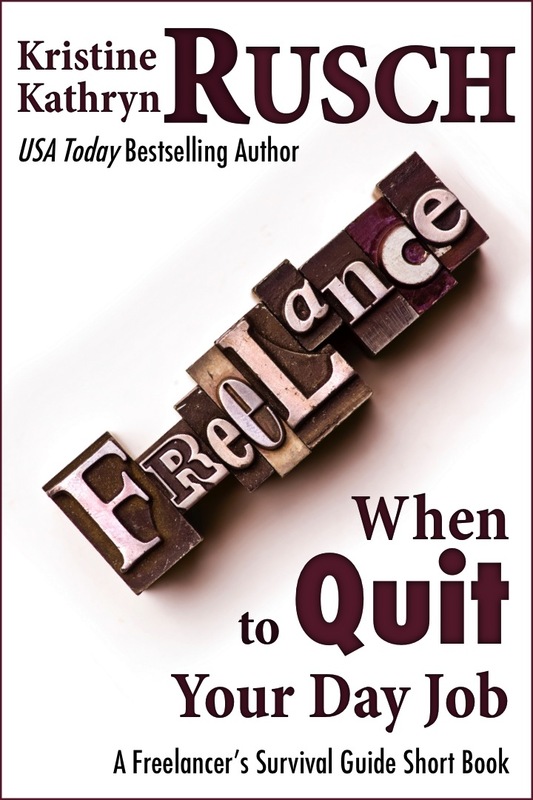 In this short book, international bestselling writer Kristine Kathryn Rusch shows you how to create a schedule, meet deadlines, take time for vacation, and cope with illness.The perfect guide for freelancers who can’t find enough time in the day. Available from Audible, in print, or in electronic form from $4.99. 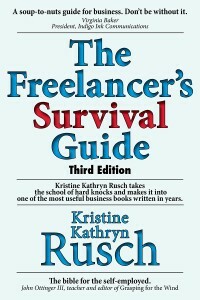 I was wondering if the Freelancer’s Survival Guide was available in non-electronic form? I was hoping to give it as a gift for the holidays. Thank you!